I love Halloween because there are so many themed crafts you can do. 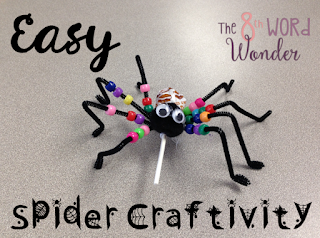 Last week, my students and I made this cheap and easy spider craft. Start by making the spider body: Bend four pipe cleaners around the lollipop to create eight legs. Then glue on the pompom and googly eyes. 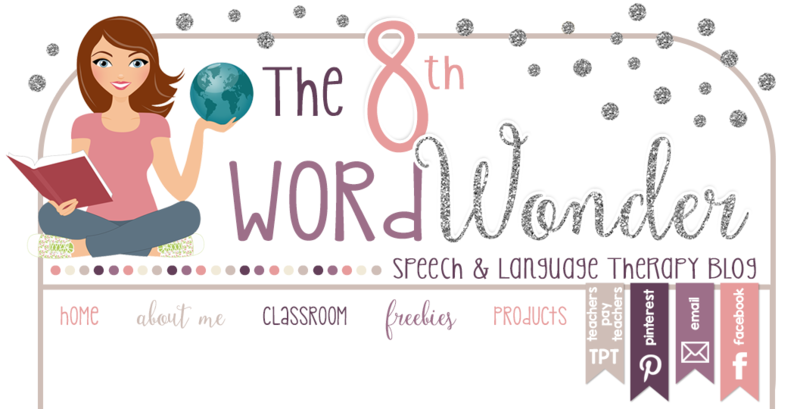 In order to make this craft educational for therapy purposes, students had to "earn" each bead by producing a word with their target sound 10 times or completing a language task. When student had three beads on each leg (can do more if you have time), we tied a foot at the bottom. At the end of the session, we bent the legs to make the spider stand up. All in all, this was super easy to do even for my younger students, and they got to take something home. These spiders also looked really great with multifaceted beads.